This poster focuses on the microscope. It is a part of a twelve-poster series that demonstrates how scientific developments have a profound impact on the world and the evolution of our society and civilization. 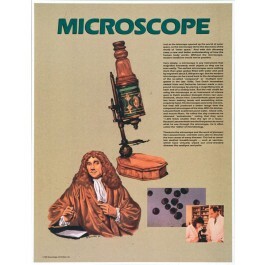 The poster features a drawing of an antique microscope. It also has a drawing of Dutch amateur biologist Anton van Leeuwenhoek, the man credited with using the microscope as an instrument of science, who has been called "the father of microbiology." 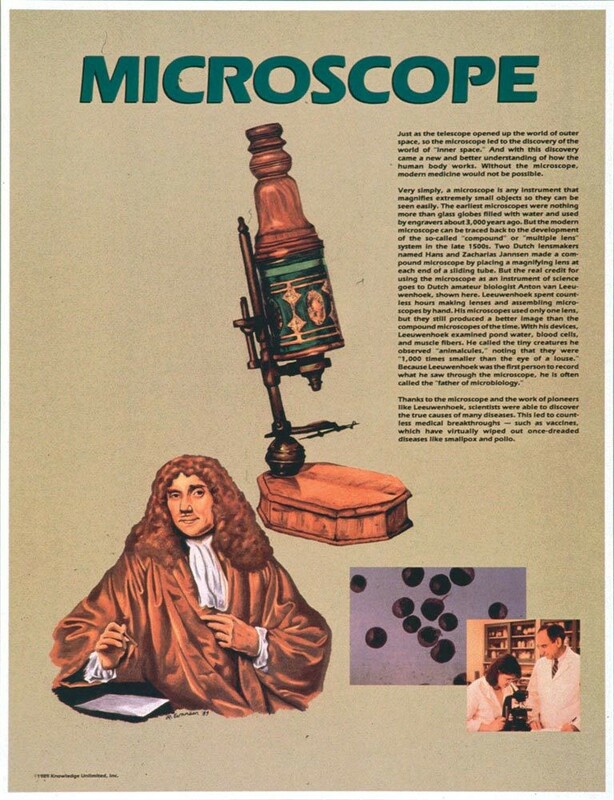 The poster includes text explaining the origins of the microscope and how modern medicine would not be possible without it.